Offer Expires On July 31st, 2012! 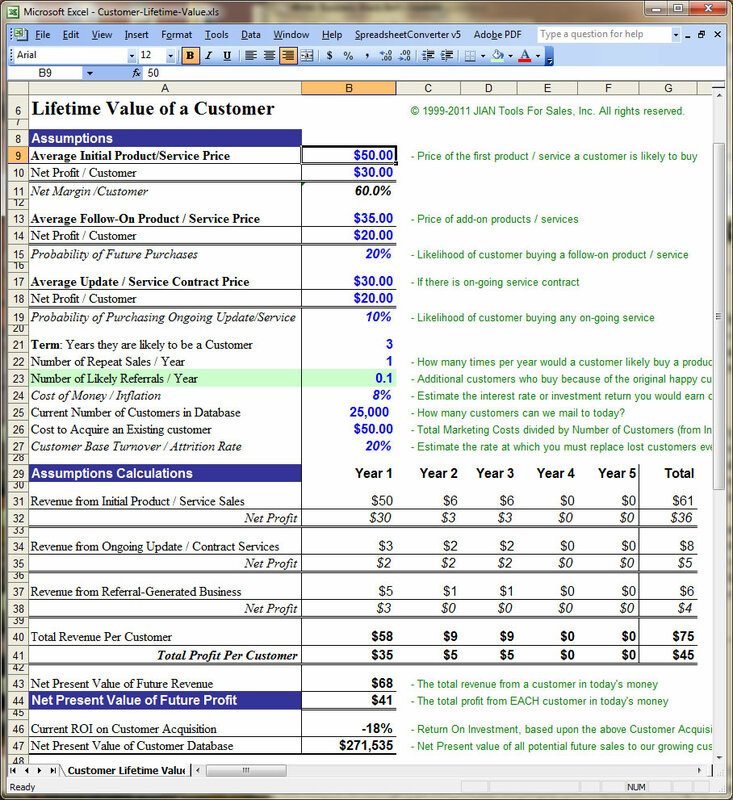 From now through JUNE 30TH, 2012, I’m offering a 66% discount on my acclaimed Lifetime Customer Value Calculator. Now you can get my Liftetime Customer Value Calculator (pictured below) for 66% off the normal price. This supreme analyzer sells like hotcakes every day for $27 …but you can save 67% and get the full version for just $9.00! Click Here And Get Your Complete Copy For 67% Off! How much should you invest to attract another customer? Good stuff to think about. And for just $9 we’ve got a spreadsheet you can use!